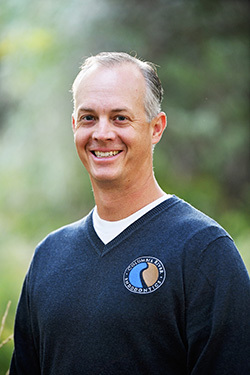 Dr. Dawson is a highly skilled endodontist who emphasizes compassionate care for his patients. He treats each patient with respect and kindness and has a natural ability to make them feel comfortable and at ease. After graduating from Indiana University School of Dentistry Dr. Dawson completed a one-year Advanced Education in General Dentistry with the US Army. He then had the distinct opportunity to deploy to Iraq as a General Dentist where he was able to treat soldiers and civilians in a somber, yet rewarding environment. Dr. Dawson completed his two-year Endodontics residency in Fort Gordon, Georgia in 2007 and went on to serve three years as Chief of Endodontics in Heidelberg Germany. In 2010 he returned to the United States and served as Chief of Endodontic in Fort Carson, Colorado up until joining Columbia River Endodontics in June 2014. He is a member of the American Dental Association and the American Association of Endodontists. Dr. Dawson is grateful for the opportunity to live all over the world but is happy to return to the Northwest as he is originally from Idaho. He and his wife Kristi have four talented children and are excited to now call the Tri-Cities home. In his off time, Dr. Dawson can be found enjoying various sports and the outdoors. He particularly enjoys playing golf and basketball. As a family, they enjoy snow skiing and spending time fishing, boating, and water sports.